5th April 2009, 4pm & 7th April 2009, 12.45pm. 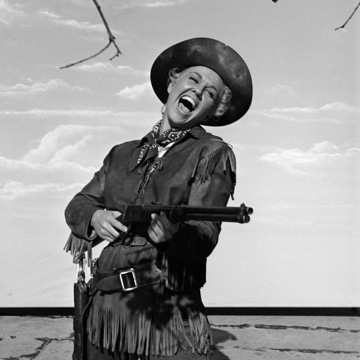 Join Mr Cosmo at the GFT to celebrate Doris Day's birthday with a sing-a-long to one of her best loved films. The town of Deadwood is largely the abode of men, where Indian scout Calamity Jane is as hard-riding, boastful, and handy with a gun as any man, until love tames her.